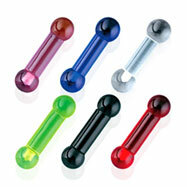 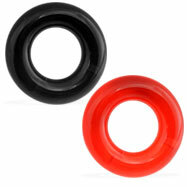 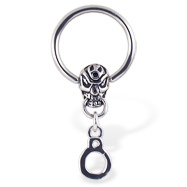 Male piercingThere are 360 products. 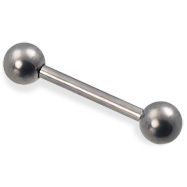 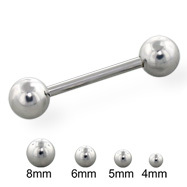 Gauge (Thickness): 12 (2.0mm) Material: surgical grade solid titanium Type: straight barbell Shown: 16mm straight barbell with 6mm balls. 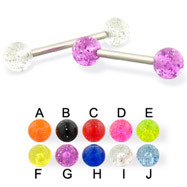 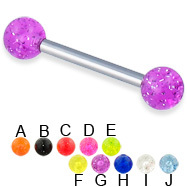 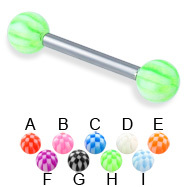 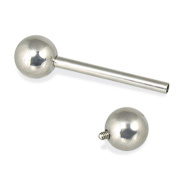 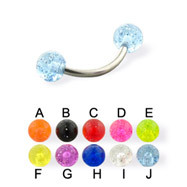 Gauge (Thickness): 12 (2.0mm) Material: acrylic Material: surgical grade solid titanium Material: crystals Type: straight barbell Shown: 16mm straight barbell with 5mm balls. 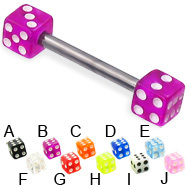 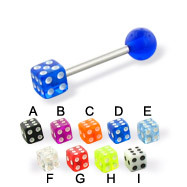 Gauge (Thickness): 12 (2.0mm) Material: 316L surgical grade stainless steel Material: acrylic Type: straight barbell Shown: 16mm straight barbell with 5mm dice. 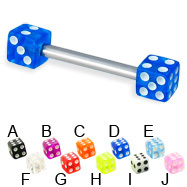 Gauge (Thickness): 12 (2.0mm) Material: acrylic Material: surgical grade solid titanium Type: straight barbell Shown: 16mm straight barbell with 5mm dice. 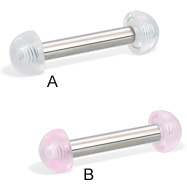 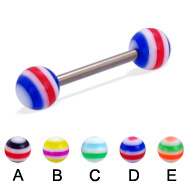 Gauge (Thickness): 14 (1.6mm) Material: 316L surgical grade stainless steel Material: acrylic Type: straight barbell Shown: 14mm barbell with 5mm die and ball. 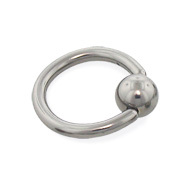 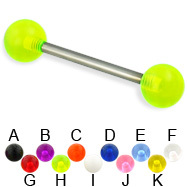 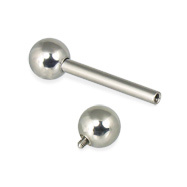 Gauge (Thickness): 14 (1.6mm) Material: acrylic Material: surgical grade solid titanium Type: straight barbell 6mm acrylic half ball Shown: 16mm straight barbell. 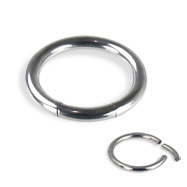 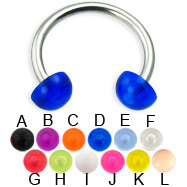 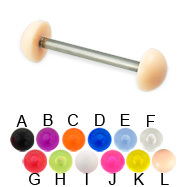 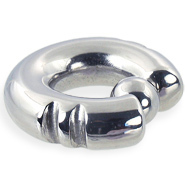 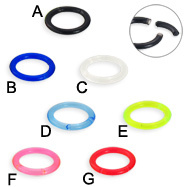 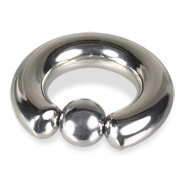 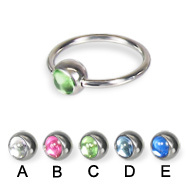 Gauge (Thickness): 10 (2.5mm) Material: acrylic Type: captive bead ring priced and sold individually no tools needed to handle Shown: 1/2" segment ring.